Breakfast in Sydney is a bit of an institution, perhaps because the city goes to bed so early 😉 The first meal of the day whether you call it breakfast or bunch is pretty important and something lots of locals (especially us) tend to go out and enjoy every weekend. What follows is a list of breakfast places that either Charles and I or our fellow bloggers enjoy. 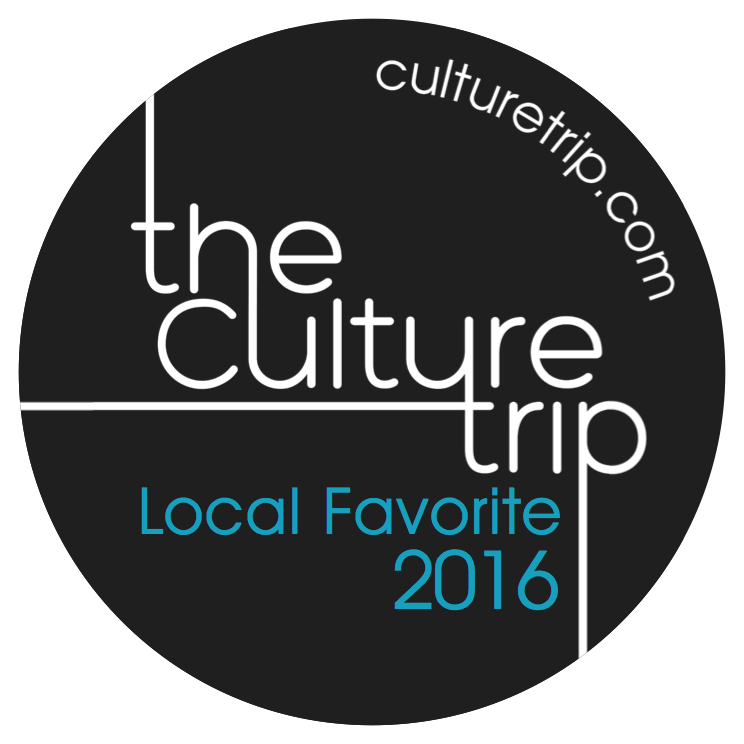 Take a look and let me know if your favourite is on our list. If not please leave a comment so we can check it out next time we wake up hungry! 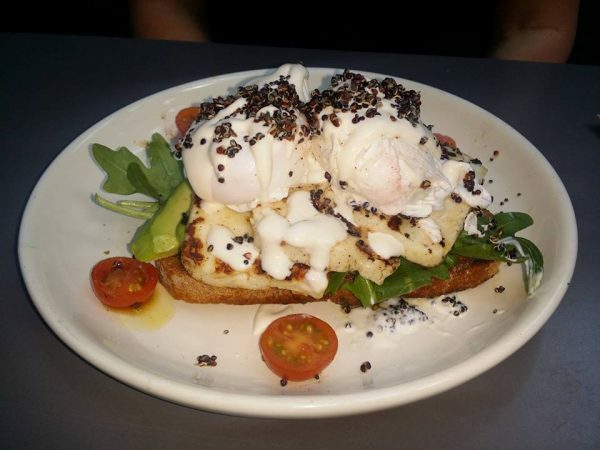 The Haloumi Stack at Nook Urban Fresh is the sort of breakfast that will keep you going until long after lunch. There is a good range of option on the menu here, and coffee is a big deal with a fantastic range on offer. Overall the food at Nook is fresh and healthy with just a few decadent items thrown if for when you feel like a splurge; it’s tough to resist the Drunken Frenchman which features Brioche French toast with spiced poached pear and pistachio crumble and whisky maple after a big night on the town. Healthy choices include Quinoa porridge or Paleo yoghurt, also keep your eyes out for the homemade baked beans if you are a bean lover like me. 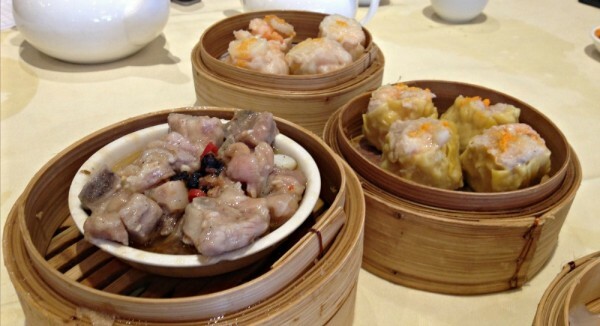 I am a big fan of a Yum Cha as a breakfast option, and Sydney has some outstanding offerings. Yum Cha service usually starts at 11 am so this is not an option for those who like to eat breakfast within an hour or two of rising. Yum Cha service is usually quick and often a little curt, as westerners it can be hard to get the trolley ladies to bring you the best stuff too. After eating our way through almost every yum cha offering in the city our clear favourite taking into account both food quality and service is Palace Chinese Restaurant in Piccadilly Shopping Centre. Just a short walk from either the Hilton or the Sheraton on the Park or Pitt Street Mall. 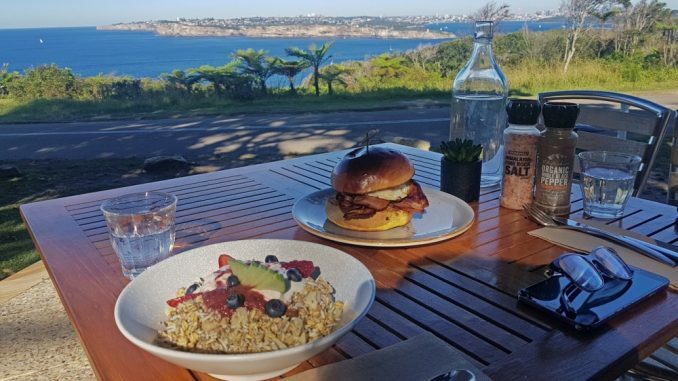 Hannah from That Adventurer shares her favourite Sydney breakfast spot. Stepping into Darlinghurst’s Latteria cafe is like taking a trip to Italy. It may be small, but it’s packed full of tasty cakes, pastries, Italian drinks and (their pretty much legendary) focaccia. There’s also a few Italian trinkets and wooden stools at the bar where you can sip your espresso in style just like in Rome! 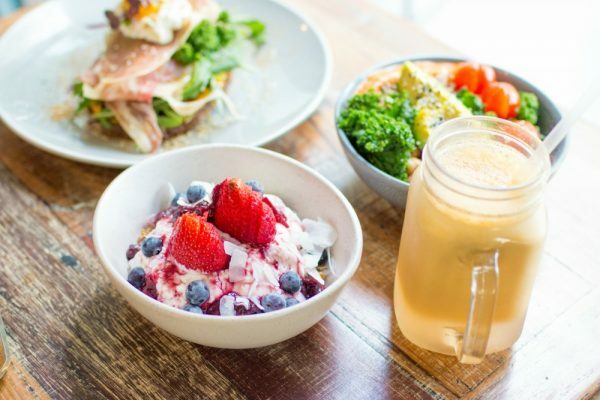 The breakfasts include the Sydney standards of avocado, poached eggs, sourdough toast and omelettes and dishes range in price between $12-18. Do you crave fluffy pancakes in the morning? 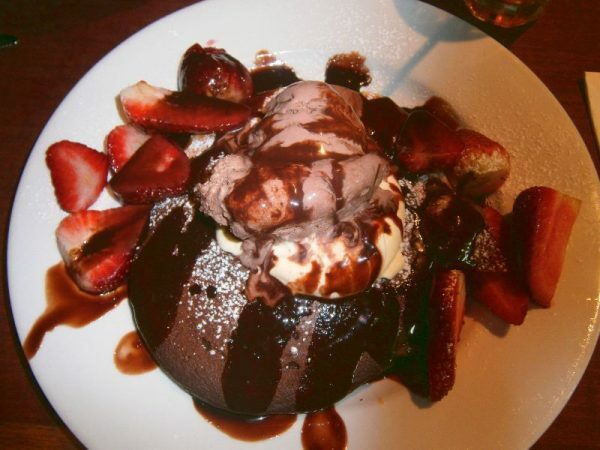 Then Pancakes on the Rocks is the place for you! The original restaurant is located in the historic Sydney Rocks, but nowadays you can find them in several locations all over the city. They are open 24 hours, so never mind if you’re planning an early start or sleeping in. Top your pancakes with ice-cream, fruits, and chocolate. Or go savoury by combining them with traditional breakfast options like eggs, bacon, or sausage. Pro-tip: When you can’t decide between buttermilk and chocolate pancakes, ask to have both. They’re delicious together! 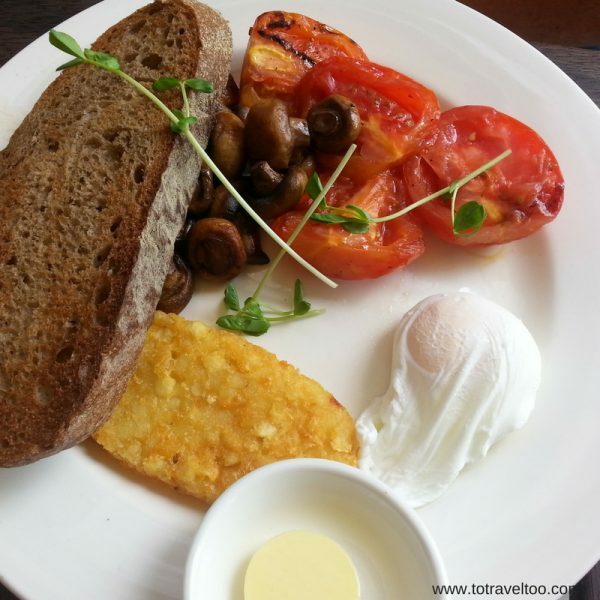 Opening hours: Open 24 hours a day seven days a week for your jetlagged breakfast cravings! Something for Jess focuses on locally sourced organic food served in a friendly environment that makes you wish it was your local cafe. The decor is recycled and adds to the warm atmosphere created by the friendly staff. All day breakfasts and some great bruschetta or panini lunch options with a clear focus on healthy good for you food! Clemens from Travellers Archive shares her favourite spot which is perfect for tea lovers. The Rabbit Hole Organic Tea Bar is a whole new café concept. It strongly focuses on tea and offers lots and lots of different and fresh tea flavours and types. 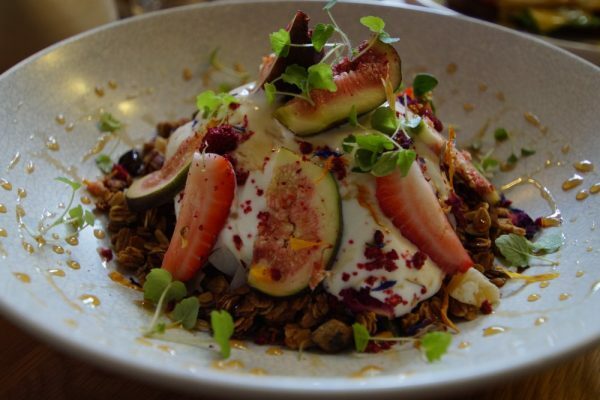 Apart from that, the menu is full of healthy ways of starting into the day: from homemade granola over porridge to yummy avocado options. Come here for a great start into the day and enjoy an energising chai masala and poached eggs with greens. Above all, it’s beautifully decorated, light and cosy at the same time. It is located in Sydney’s hip area of Redfern and basically invites you to go for a walk around the area, discovering art galleries or taking photos of the various murals. Could it get any better? Kepos Street combines Middle Eastern and Mediterranean flavours to create fresh and interesting dishes. I love the food here so much I have bought both of the cookbooks they have published. 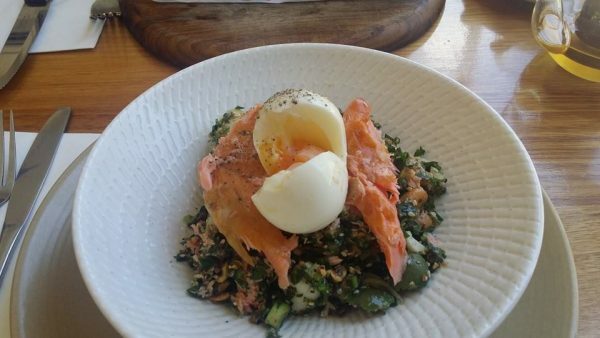 This is my all-time favourite breakfast in Sydney; Wood fired smoked salmon salad, green olives, kipfler potato, soft boiled egg, dukkah. 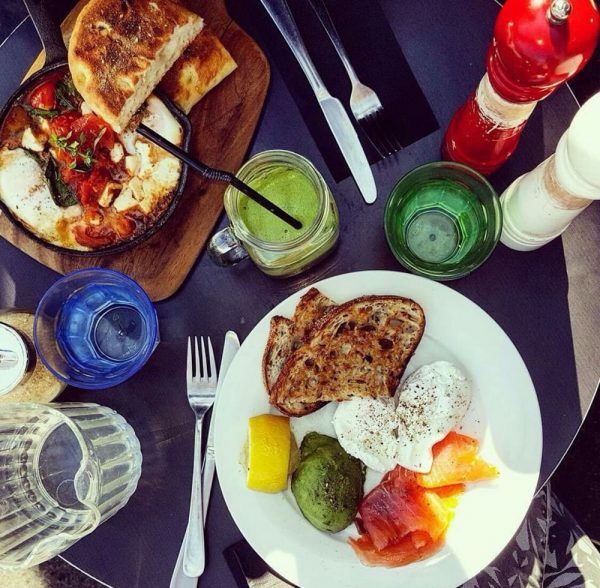 It’s fresh and light compared to many egg breakfasts, and the crunch of the dukkah beats toast any day in my book. Other standouts are the Burrata cheese with eggplant and soft boiled egg, and the Pea and Haloumi Fritters. Great for weekdays when locals are at work as weekend here can be insanely busy. Sitting right on the wharf at Kirribilli it’s just a quick 10 minute trip across the harbour from Circular Quay. Nothing makes me happier than cheese, and the Burrata & Mushroom breakfast here is pretty hard to beat. The first time we visited this pretty waterfront spot, it was because when the ferry pulled in at Celsius cafe (above) the queue was ridiculous, so we decided to stay on the ferry and check out a new spot. After a short wait, we were seated and gazing out over the harbour. Breakfast here is not an all-day affair sadly, and we had missed the breakfast orders by five mins. Luckily there are several breakfast style items on the lunch menu including this delicious, healthy breakfast bowl. The is a lovely spot to sip coffee while you watch the ferries come and go. 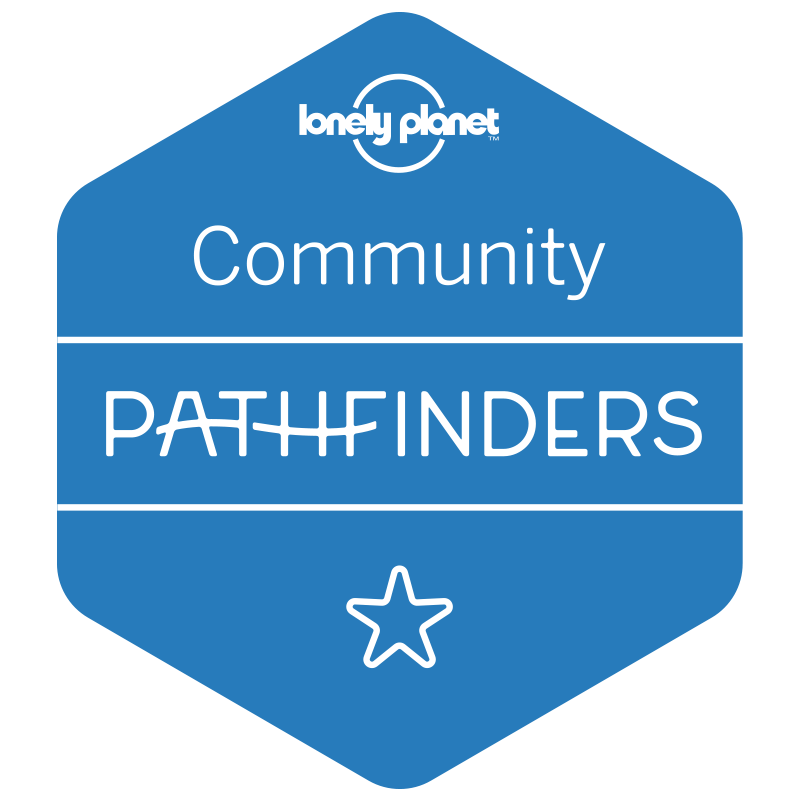 Dani from The Full-Time Tourist eats a vegan and gluten-free diet, and she has a great find in Glebe. 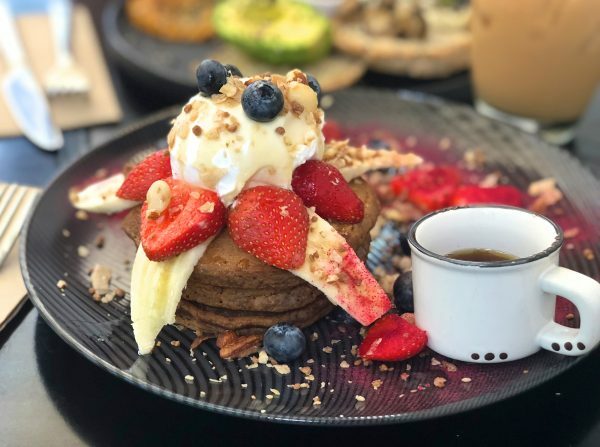 After struggling to find gluten-free and vegan brunch options in Sydney, I miraculously stumbled across Gathered Kitchen in Glebe. This cute vegan café is right along Glebe Point Road, across from where the Glebe Markets take place over the weekend. Gathered Kitchen has tons of breakfast favourites like pancake stacks, eggplant shakshuka, pandan waffles, and croissants. And as someone who has eaten their way through the gluten-free menu, I can vouch that everything is incredibly filling and delicious. (And even my non-gluten-free and vegan friends agree!) They also have some pre-made items at the front of the café, which are perfect for a little pick-me-up! 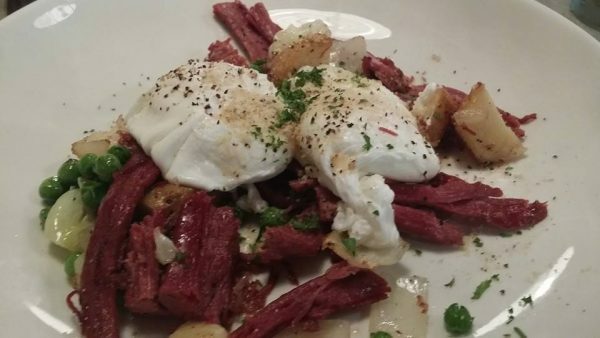 We usually visit Brewtown on weekends and happily wait in line for my favourite corn beef breakfast hash. However, I recently had an early weekday appointment in Newtown and was pleased to see the usually busy cafe is less so on a Monday morning at 8.30am. 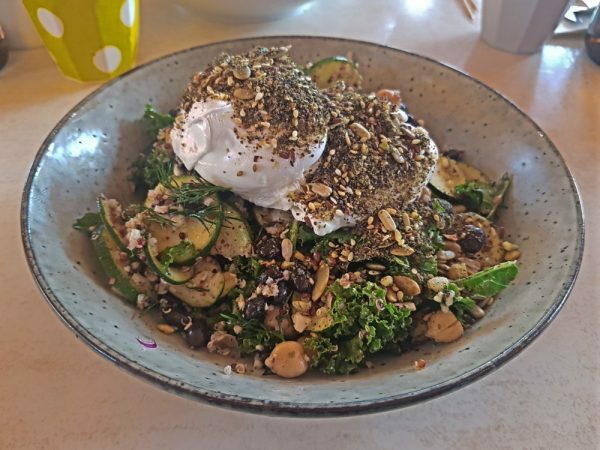 The coffee here is good, really good and there is a good range of choice for breakfast from the exceptionally healthy Buckwheat and Cocoa granola to the decadent egg benny brioche. On the way out grab a cronut for later. Opening hours: 9am-4pm weekdays 8 am start weekends. 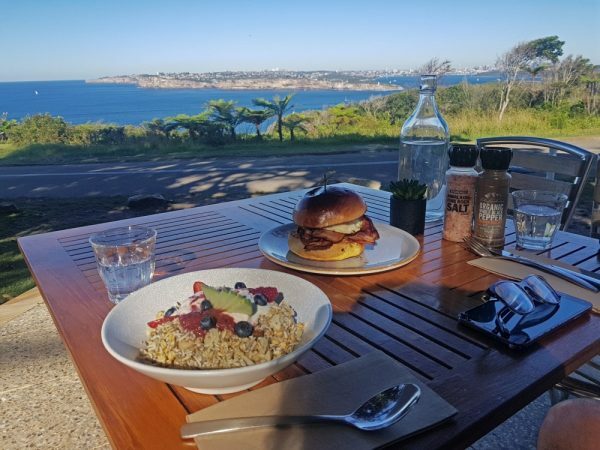 Jane and Duncan from To Travel Too have shared their local favourite cafe on the gorgeous Dee Why Beach. Nestled on The Strand at Dee Why Beach on the Northern Beaches of Sydney, with views over the Pacific Ocean is our favourite restaurant of 12 years – Sandbar. We have lost count of how many times we have been there for breakfast, lunch and dinner. Breakfast is our favourite time, as we enjoy our first coffee of the day and ponder over the scrumptious menu while watching the waves gently lap the shore. Should we have the eggs benedict, full breakfast or corn fritters with avocados or the decadent freshly baked muffins, always a dilemma! Have questions about what to eat in Sydney? Head over and join our Sydney Expert Facebook Group where you can ask questions and get more great ideas for planning your visit to Sydney. We have also shared some great small bars you might want to check out for the other end of the day! All GREAT options! I’m going to let you in on a little secret, but please keep it to yourself, ok!? The Eight at Market City in China Town starts Yum Cha at 10am…our family goes once a month, and it seems only a handful of people are in the know. We have the trolleys practically to ourselves, and we’re done before the rush at 11! I think that might be the first place I head for breakfast when I get back to Sydney in July. I should’ve eaten before reading this scrumptious post! Absolutely ravenous now. I haven’t heard of Garden Kitchen in Glebe before, and I live in Glebe. Thanks for the tip! It’s amazing how many gems are hidden right under your nose! Cottage Point Kiosk in Cottage Point is a favourite of mine. I get there by boat, but you can drive there. 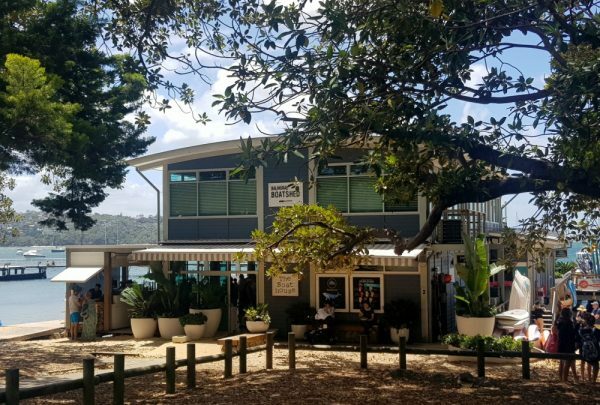 Try the breakfast bruschetta or corn fritters while enjoying a peaceful view of the Hawkesbury River. Much less expensive than the Restaurant around the corner.